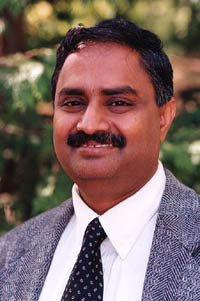 SYRACUSE, N.Y. - Dr. Bandaru V. Ramarao has been appointed acting chair of the Faculty of Paper Science and Engineering. Ramarao will lead the Faculty of Paper Science and Engineering while a committee conducts an international search for a permanent chair. Ramarao specializes in fluid mechanics, wet end chemistry, and process control. He succeeds Dr. Leland R. Schroeder, who continues to teach after stepping down as chair.